For the past two days my mother has been out of the house at lunchtime, leaving me, the only Slattery sister still left at the house, to make dinner. I don’t usually cook, so this is noteworthy. And as I sat at our long, Amish-made table for dinner those two days, and watched my skillfully (haha) homecooked meal being eaten, I realized just how much had changed. Years ago, that same table had been filled with several young children, yelling, fighting, refusing to eat their vegetables, and now the table was occupied by four, four, people. All of whom were, excepting me, above the age of 60. The first day I saw this, I was struck with sadness. I moved to the kitchen. Without me there, the picture was dismal. There sat my Dad, at the head of the table. Peter sat on his right, devouring a platefull of tomatoes covered in mayonnaise. On his left sat Grandma, slowly eating her sandwich of store-bought fake lunch meat. And then Dad got up, leaving Grandma and Peter across each other at the table. Grandma: Well, would you like some yogurt? Grandma: Would you like some yogurt here? Peter: Oh, no thank you. This entry was posted in Clare and tagged change, dinner, Family, Nature, old people, seasons, young people on August 31, 2011 by sweetridgesisters. 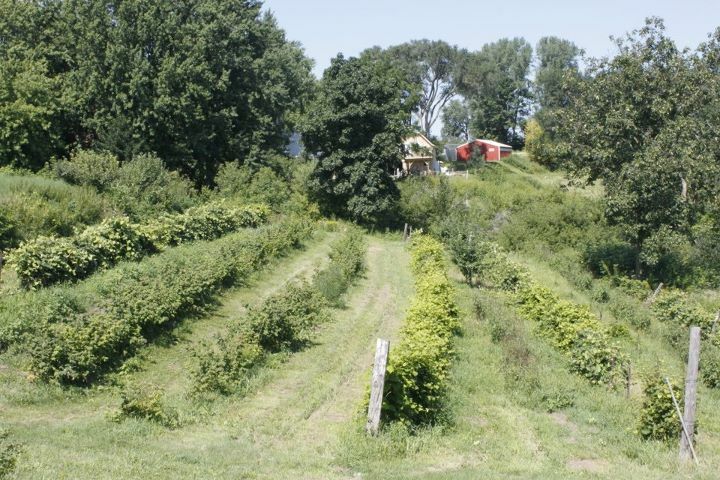 A little over a week ago, I was dashing around the fields surrounding the Slattery family farm in Middle Ridge, Wisconsin, for a last good bye to western Wisconsin. 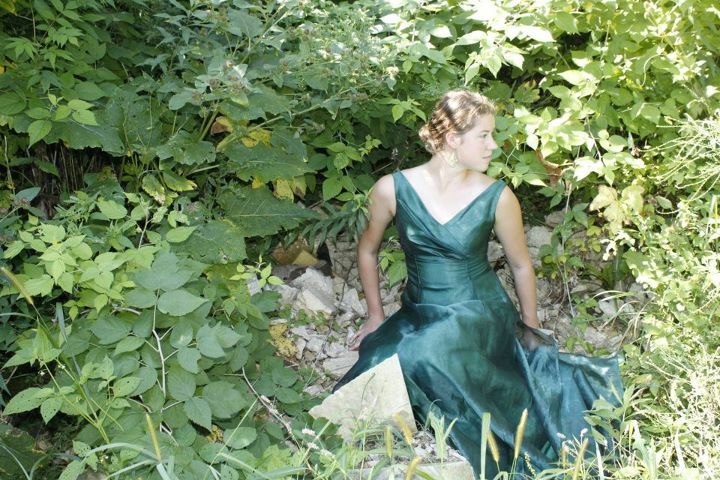 Being the little sister most similar to Kate, I felt that it was only appropriate to commemorate this occasion with a photo shoot, in a long, green ball gown. Clare was in tow, the director of Making Colleen’s Face Not Do Weird Things While Pictures Are Taken Of It, and my good friend, Cody, brought his photography skills and awesome camera. The shots were taken in some of my favorite locations at home. 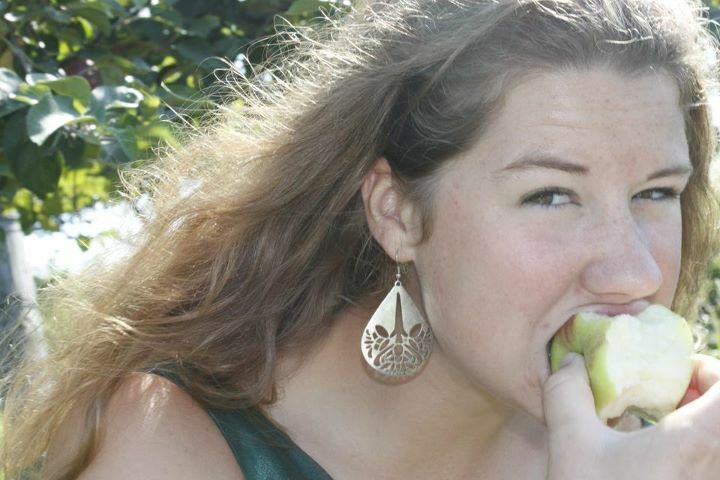 And of course, I had to taste our apples one last time…..they are truly the best apples in the world. Can you tell from my face? 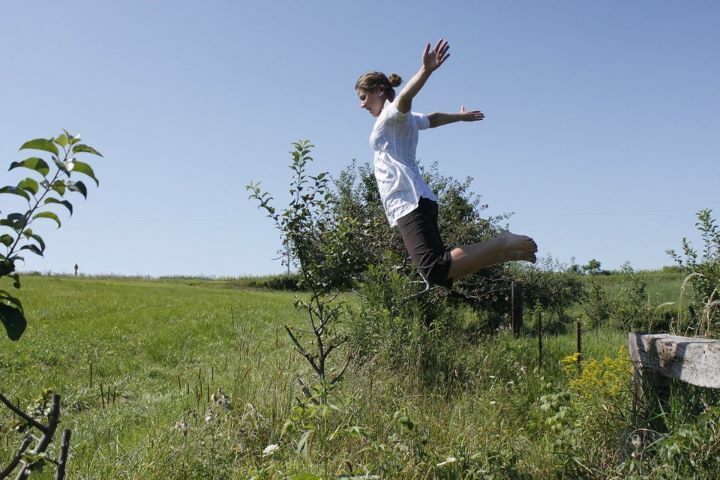 From there I headed out to do some flying leaps into our neighbor’s adjoining field. Afterwards, I took a shot at snapping some pictures of our field myself. I already miss this view so much. It was on to the last location from there, the pasture next door. And I never walk when I can run! It was a day filled with green, a day filled with good byes. I left the next morning for my Grandma’s house, three hours away, and on the next Monday, I flew into muggy Dallas. Good bye, cool and green! Good bye, Wisconsin! Until we meet again…. 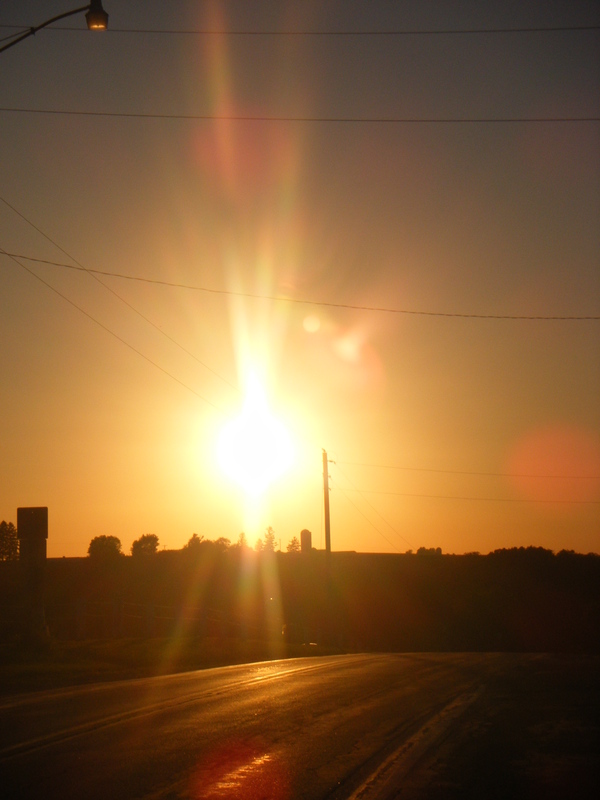 This entry was posted in Colleen and tagged Fields, Good bye, Green, Western Wisconsin, Wisconsin on August 30, 2011 by sweetridgesisters. Mary arrived bearing not only boxing gloves but also a strapless peach colored ballgown with a puffed and billowing skirt. 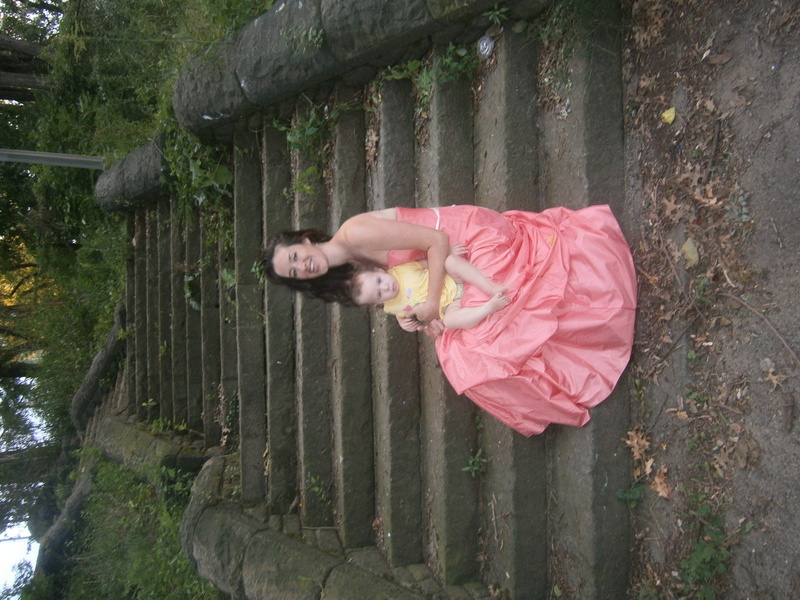 She found the dress at a sidewalk sale at Bonnie’s Bridal in Viroqua, WI. Since I was in high school, the occasional sidewalk sales at Bonnie’s boutique have formed the backbone of the Slattery sister collection of formal dresses. I firmly believe it is important to keep a few ballgowns in your closet. You just never know when you might need to attend a ball. More likely though, you never know when it is time to head over to the ball diamond at twilight for an impromptu sisterly photo shoot. Of course, it is also helpful to happen to have a blue wig and a large hat collection to pick from, and a civil war era cannon across the street from your house. Doesn’t Mary look stunning in that blue bob? I could have used a wig myself to be honest. 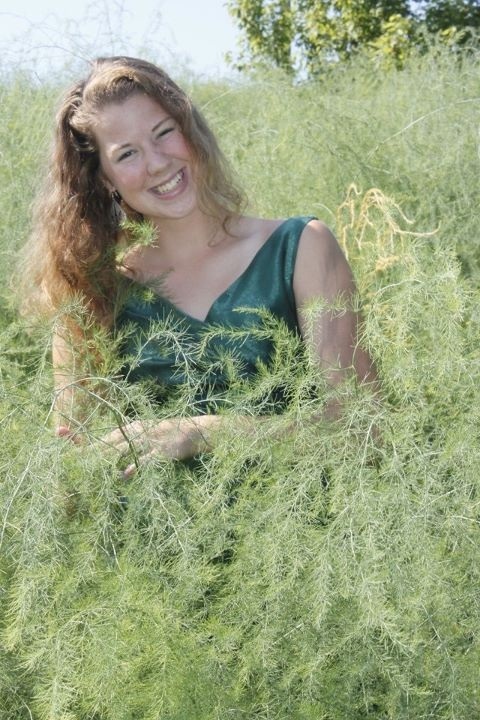 I was a bit of a wild-haired mess, in desperate need of henna. In fact there is a pot bubbling on the stove right now. Of course I was also wrangling a wriggling baby. You can never start them too young. 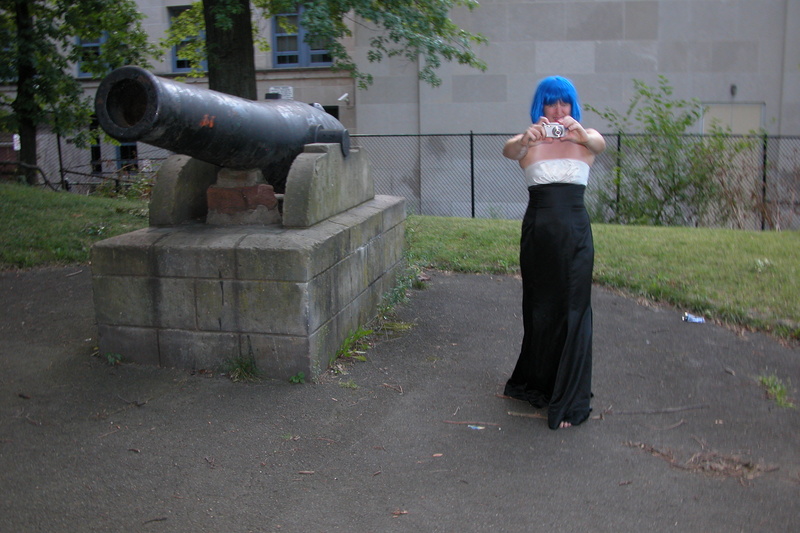 But this evening, Mary was really the blue haired belle of the ball…..diamond, in this case. The sun was setting over the mossy grey stone steps, imparting a mysterious fairytale quality to the scene. 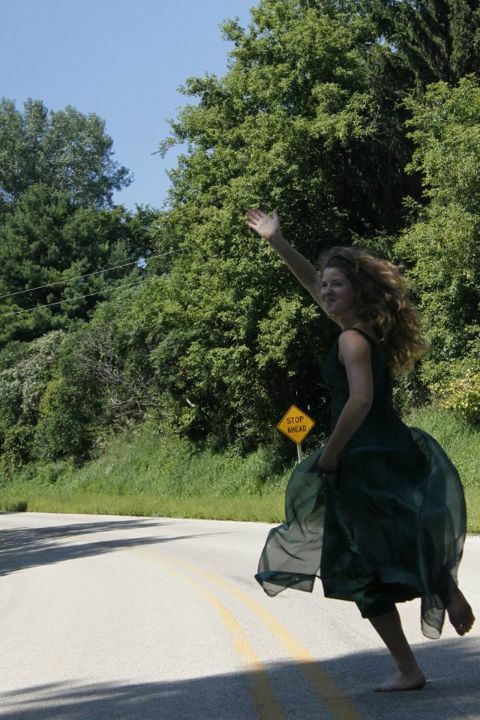 I am so grateful for sisters, the freedom to keep dreaming and playing even though I am a grown woman, blue bob wigs, ballgowns, and Bonnie’s Wedding Center in Viroqua, Wisconsin. I am pretty sure my neighbors are all grateful for these things too. At least I think that is what they were thinking about when they all simultaneously headed out to start mowing lawns and clipping hedges at dusk. This entry was posted in Kate and tagged Imagination, Photography, Sisters, style on August 30, 2011 by sweetridgesisters. 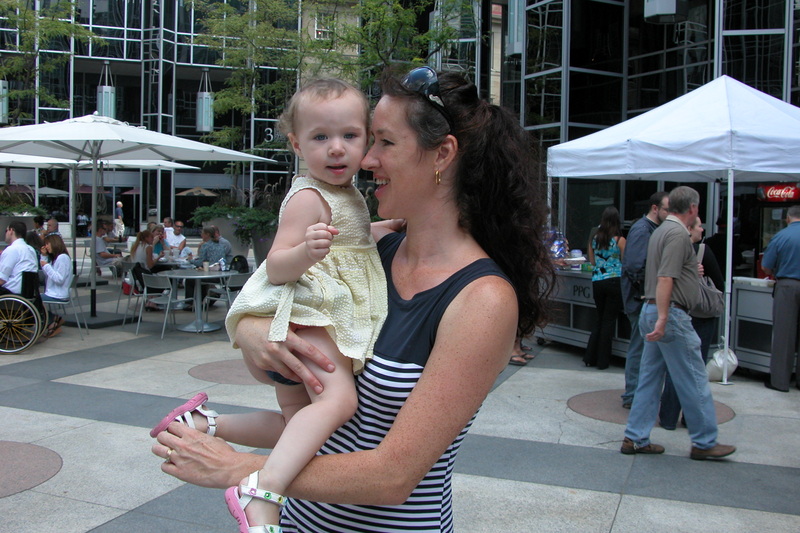 For several weeks, Kate rattled off incentives to bribe me to come and visit her in Pittsburgh. 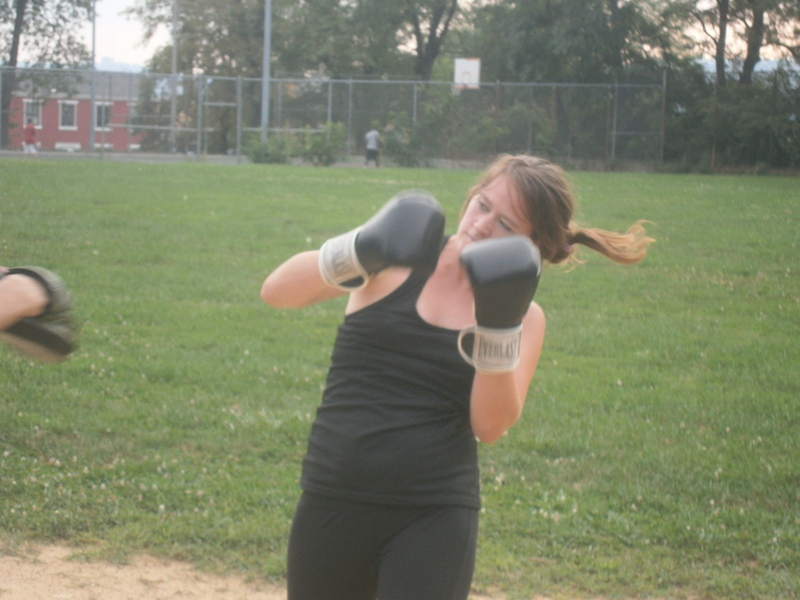 The one that really caught my interest was the opportunity to box with her husband. Currently I have been unable to find any boxing classes at home, but Casey always fills this void. In the past couple years, Casey has unleashed his considerable amount of passion onto Brazilian jiu jitsu and mixed martial arts. Casey has always been very encouraging of my interest in sparring. 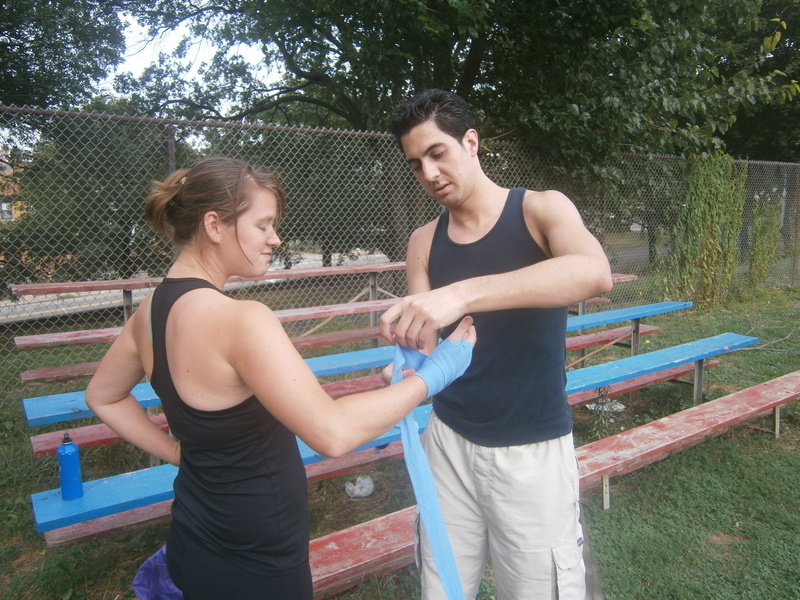 Thus far, he has taken me along to boxing class and last weekend we spent some time sparring in the baseball diamond across the street from Kate’s house. In a sense I do feel that Casey and I have come through the same battle together. A couple years ago, Casey ended up taking me under his wing when I got PRK surgery performed on my eyes in Pittsburgh. At that time, I was a scared 22 year old facing an operation that would slice off the top of my eye and leave me with a long and painful recovery process. This was a thoroughly uncomfortable situation, but infinitely preferable to blindness, which was another real possibility at that point. Casey picked me up from the shady strip mall clinic where I got my eyes sliced off, and helped me get my vicodin before taking me back to his then-bachelor-pad apartment. Unfortuntately for me, a full blown party hosted by his roommate was in session. I slept fitfully as cake and fried chicken were tossed at the walls, and was awakened in the early morning hours as sirens screamed by over and over again responding to a horrific mass murder of police officers half a mile away. Luckily for me my eyes eventually healed, and so did my memories of that night. Casey had PRK himself a year ago. His was a much calmer experience, with Kate to take care of him and no domestic or national catastrophes marring the healing process. When we spar these days, he tells me to aim for his five thousand dollar eyes. We both laugh. I am so grateful for my brother-in-law Casey and for my time in Pittsburgh. This entry was posted in Mary and tagged Boxing, Family, Fighting, Lasik, Pittsburgh on August 29, 2011 by sweetridgesisters. This morning I bought an iced Americano, stuck it in the yuppie cupholder on my beyond beat up Jeep jogging stroller, and hauled the stoller onto a city bus to meet my sister Mary, who was due to arrive via Megabus. I was massively impressed that I managed to show up downtown on time. 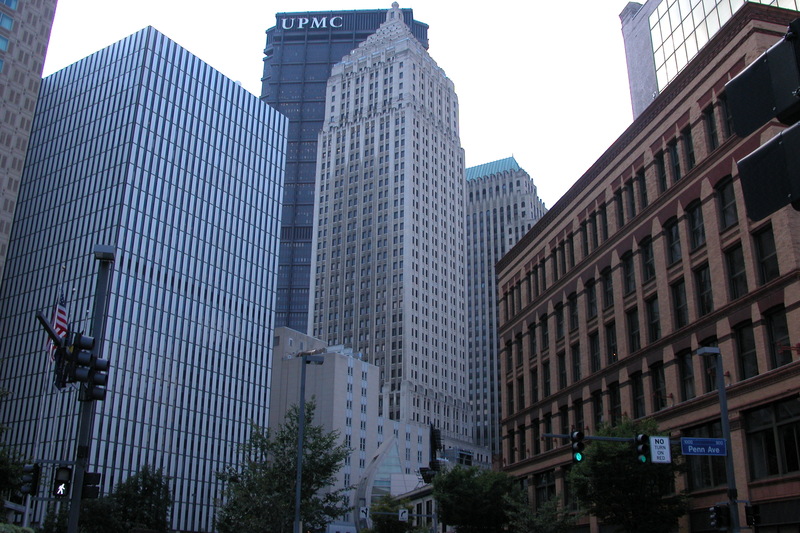 The Megabus was late, so I had a chance to take pictures of the grandiose skyline of downtown Pittsburgh with one hand while clutching my energetic toddler who had just managed to take a huge slug of the Americano with the other. 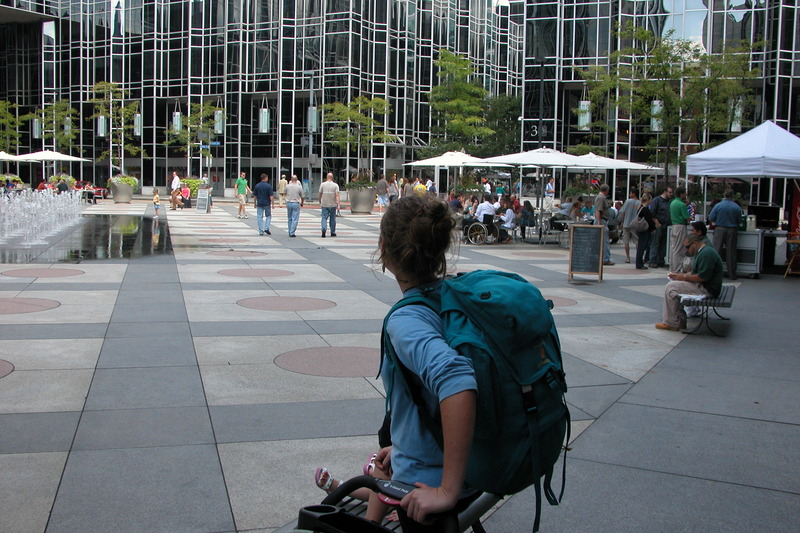 The reason Olympia was squirming so determindly (beyond the shot of espresso she had just stolen) was that the Megabus hub in Pittsburgh is located underneath the David L Lawrence Convention Center. 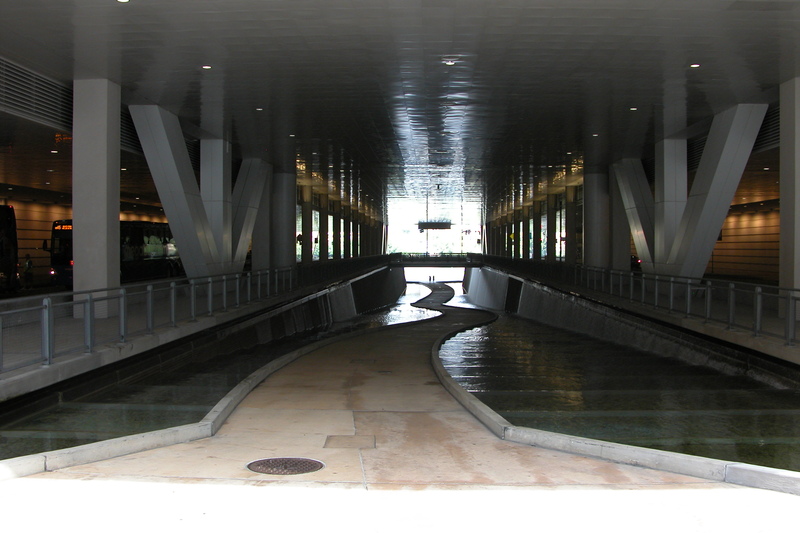 Running down the middle of the roadway is a walkway to the river. It is gorgeous, and it is one huge, long fountain. Imagine how alluring that was for a toddler who loves fountains. It is equally appealing to me. Mary staggered off the bus at this point, shivering from the excessive air conditioning. I was curious about her Megabus experience. I love the idea of being able to travel inexpensively without spending hours in the airport. Mary does not recommend it for toddlers, thinks it was too cold, and wasn’t able to connect to the internet- but it did get her from here in one piece, and for a tiny fraction of the cost of an airplane ticket. We walked down to the river to help warm her up. Olympia was thrilled to walk through the fountain with walls of running water on either side. Mary shivered in the shadows and pondered the fact that the walkway led directly down to the river, and felt that perhaps some sort of safety barrier was in order. 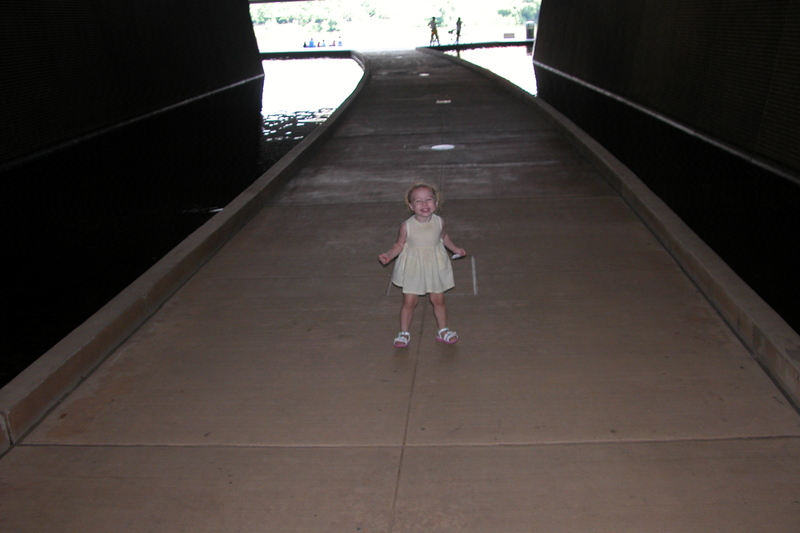 I love the way the bike trail and walkway converge and flow into the river… but I did keep a tight grip on the baby. Then we headed downtown for lunch. We stopped for food at the Istanbul Grille, where my good friend Coskun Gokalp creates fresh, wholesome, and marvelous Turkish food in a tiny hole in the wall full of eager customers. 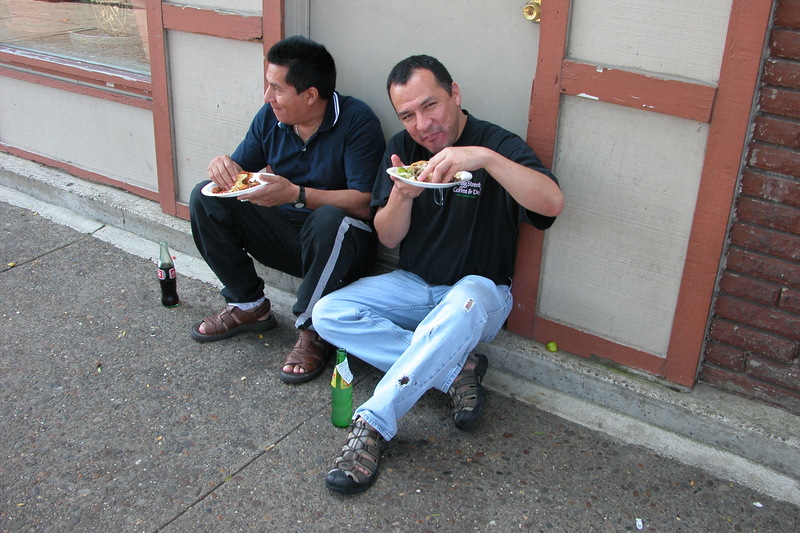 The food is great but there is no space to eat in the Grille, and it was a beautiful day so we headed out for a rambling casual tour of the downtown in search of a place to eat our lunch. 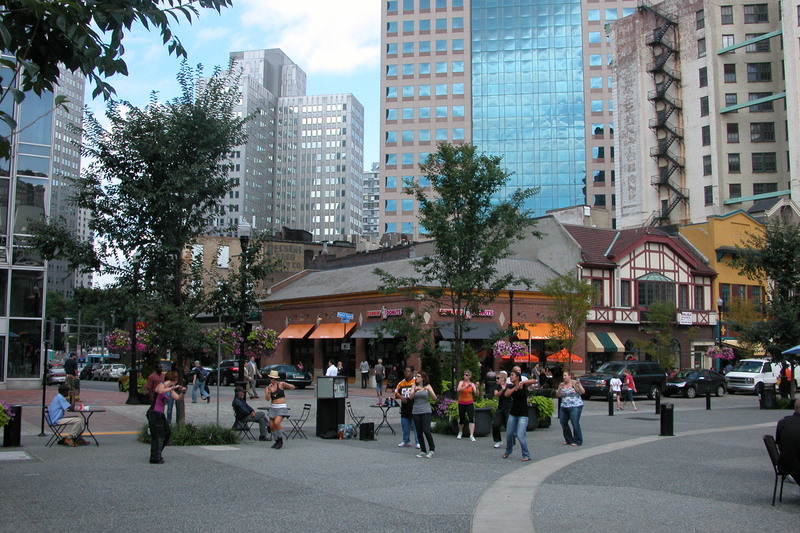 We found several possible spots- and a zumba class. We eventually settled in a mirrored square that reminds me of a castle. 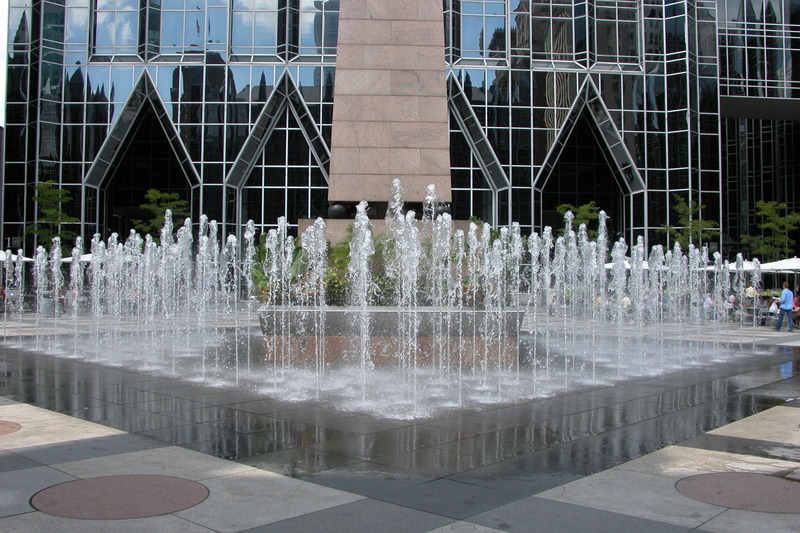 There is a dramatic fountain that shoots up and disappears at intervals, and a large population of fat pigeons. 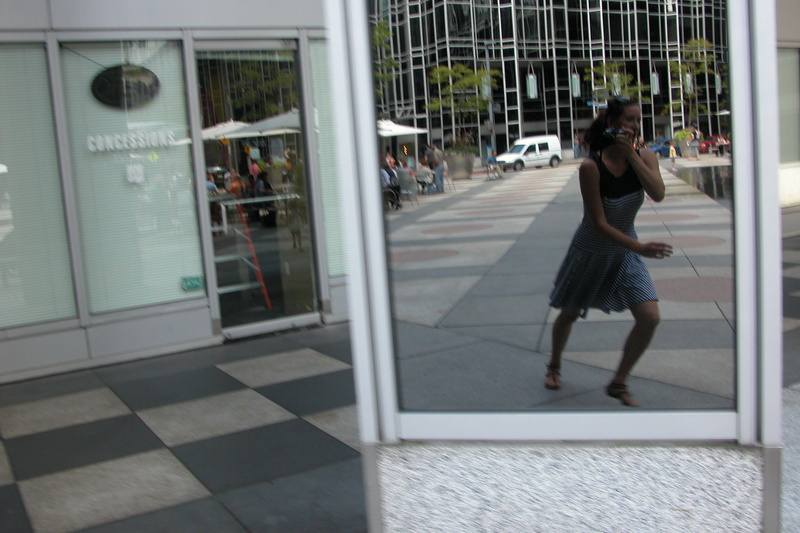 This picture tells a thousand words about my dreamy narcissistic attempt to capture myself in the mirror interrupted by a flying leap after my pigeon chasing child. I caught her, though. Mary, serene and untrammeled by the bonds of maternity, perused the square in peace. It is good to have her here. We haven’t even fought yet! Well, if you don’t count the two fights we had on the phone when she was in the bus on the way here. 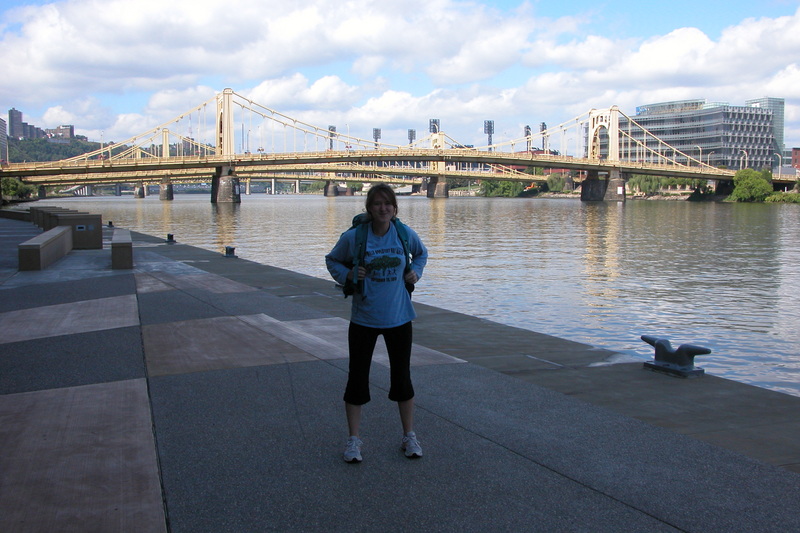 This entry was posted in Kate and tagged Pittsburgh, Sisters, Travelling, Urban on August 26, 2011 by sweetridgesisters. This morning the sky is dark. Thunder has been rolling through for hours now. The late lone sunflower that finally bloomed in my front yard is bowed down under the weight of the lashing rain and the tangled garden behind the house has succombed to complete chaos. School is in session, which means that summer is over here in our household. I am reluctantly leaving behind midnight on my back porch buried deep in the pages of a book, and instead greeting the day- and my teacher husband- before the sun rises with strong coffee, sizzling bacon, toast and eggs and cheese. On this dark and rainy morning I am thinking about the end of this summer, which was a beautiful one. 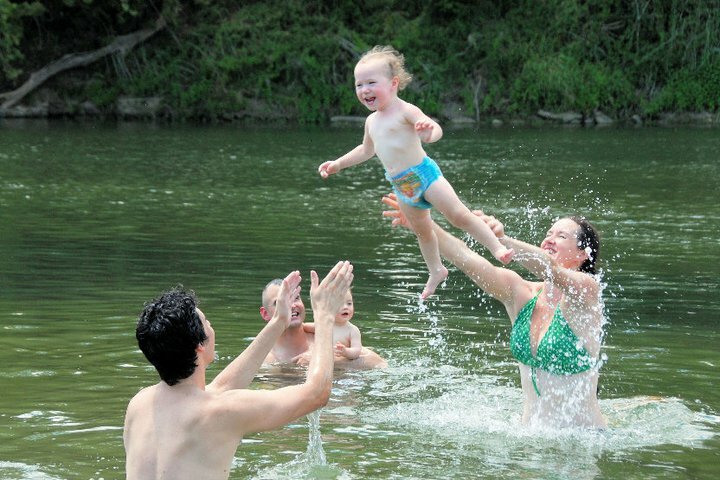 Thinking about this moment in the green Colorado River a few weeks ago in Texas. This picture was taken by the amazing Julie Martyn. Julie is an incredible photographer who lives a life of high adventure in Alaska with her husband and baby boy. They all happened to be in Texas at the same time as we did this summer, and we met on a blazing Sunday afternoon for an afternoon of swimming and Chinese food. What I love about this picture is the joyful freedom and complete trust I can see on the face of my daughter as she flies through the air from my hands to those of my husband. I hope that I can learn to fly like that, from one season to the next, in faith that strong hands are there to hold me and that the next season will be as joyful as the last. 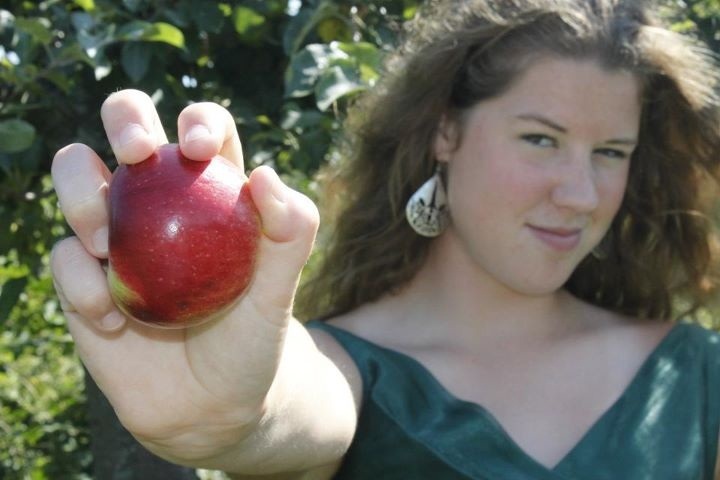 This entry was posted in Kate and tagged fall, Family, Religion, school, seasons, Travel on August 25, 2011 by sweetridgesisters. 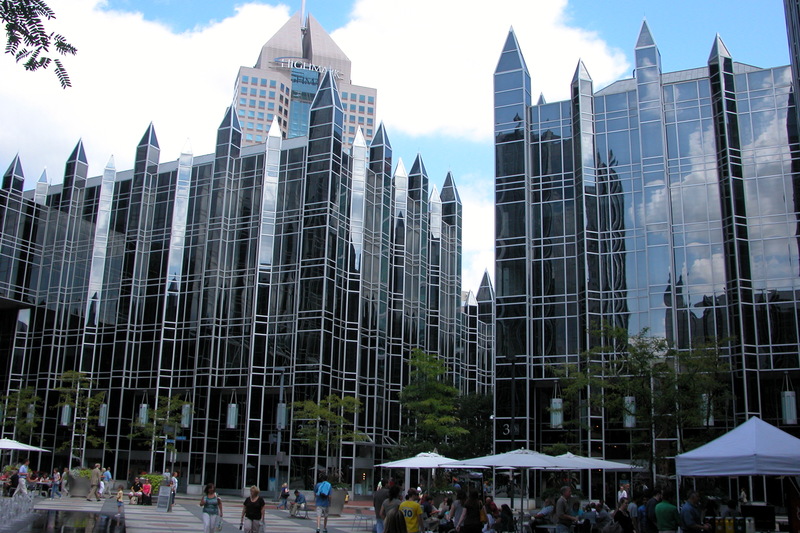 Pittsburgh offers a great deal of excellent ethnic cuisine- especially if you are in search of a pierogi. Looking for a taco? Well, that’s a bit tougher. At least, it used to be. 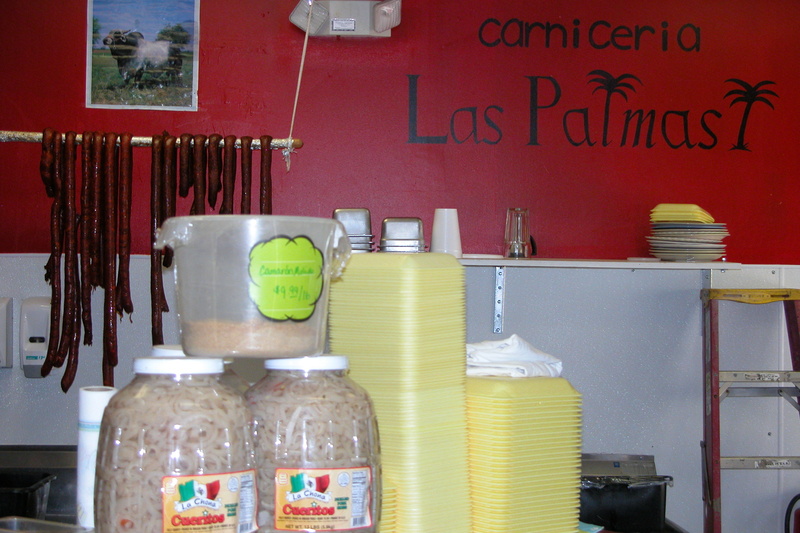 Earlier this summer, my husband discovered Las Palmas Groceria and Carneceria in Brookline. Ever since he did, we’ve been heading out through the tunnels to Brookline on Saturday morning every chance we get. 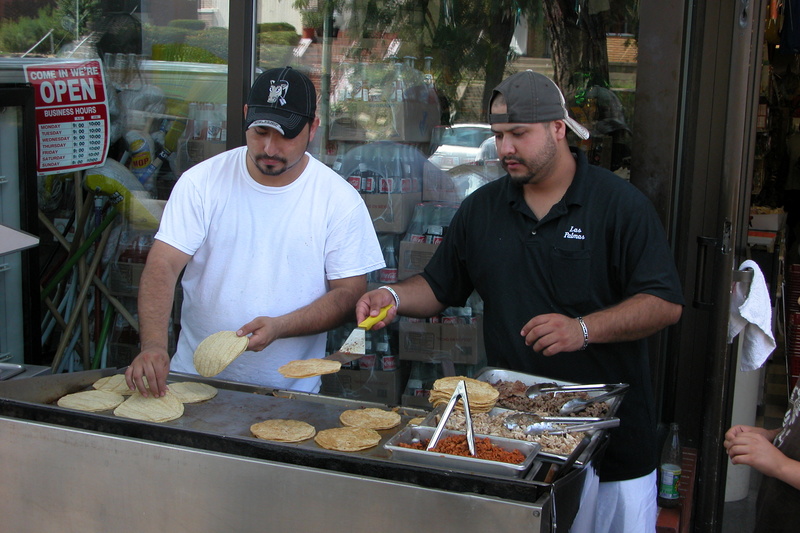 Saturday morning is when they open the taco stand. 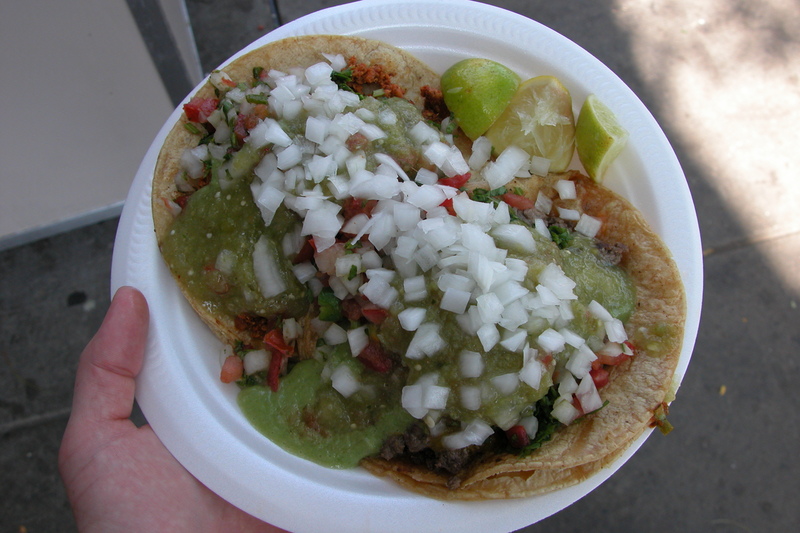 The tacos are two bucks apiece, and they are incredible. The corn tortillas come off the grill warm, fragrant, and perfectly textured. 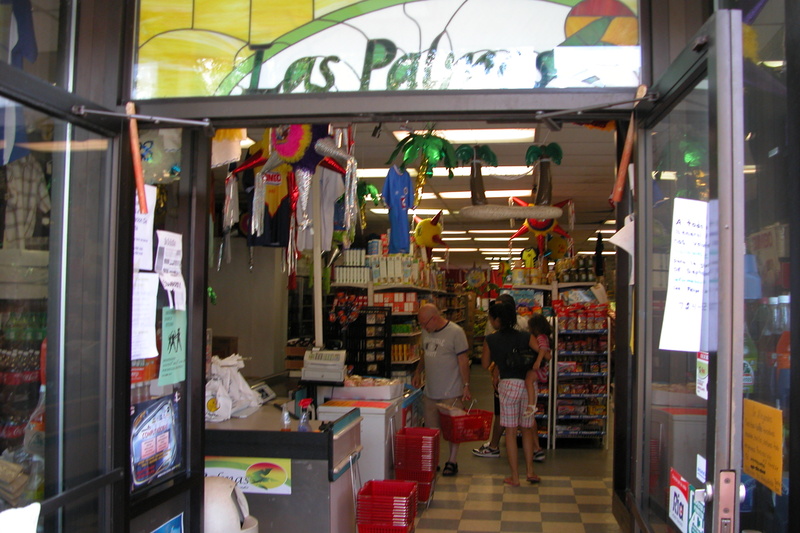 Las Palmas is a Carneceria, or butchershop. 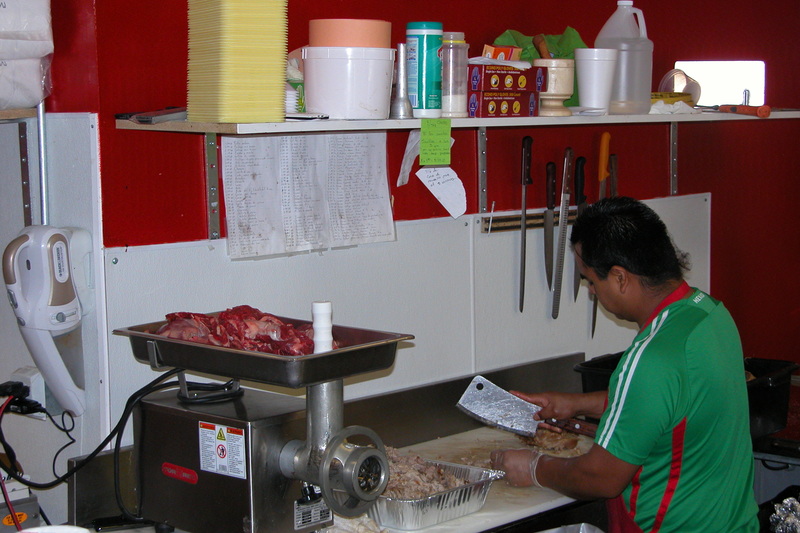 The meat they use is very high quality, and expertly prepared and seasoned on site. Their chorizo is incredible. Then there are the vast array of (hot!) 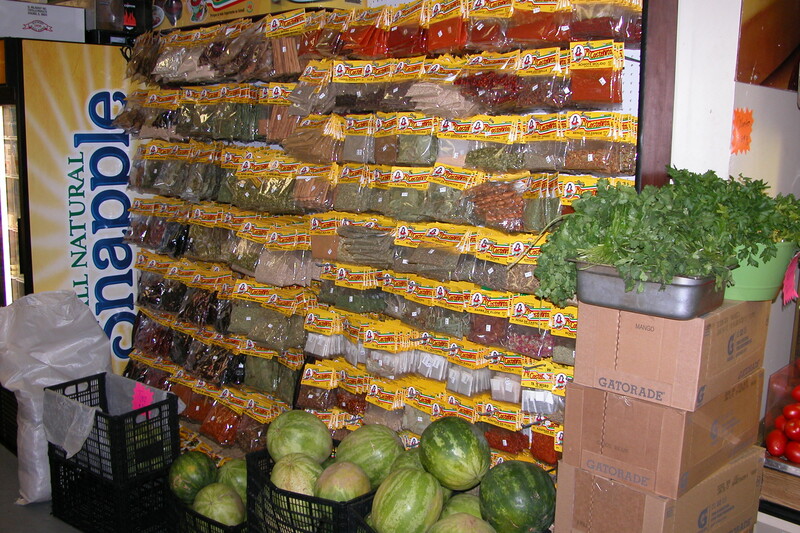 sauces and fresh vegetables and limes to choose from. I am generally unable to choose, and heap on as much as humanly possible. 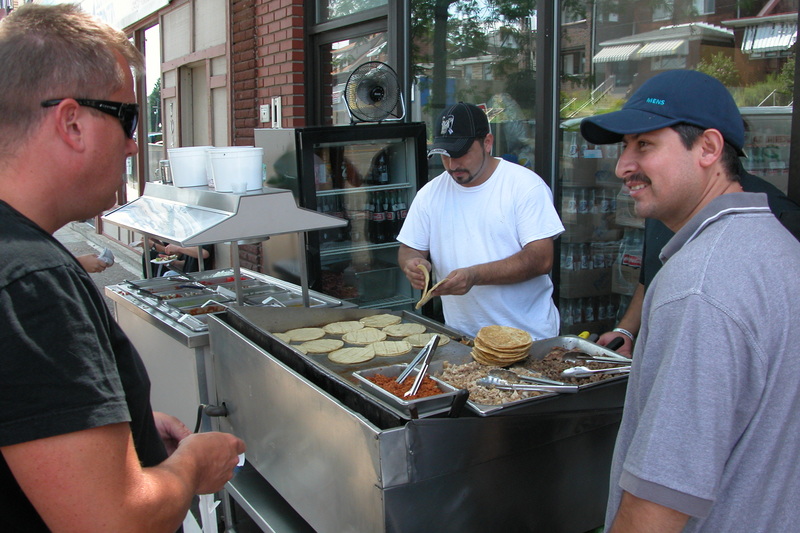 The street is full of families waiting in line and satisfied customers. 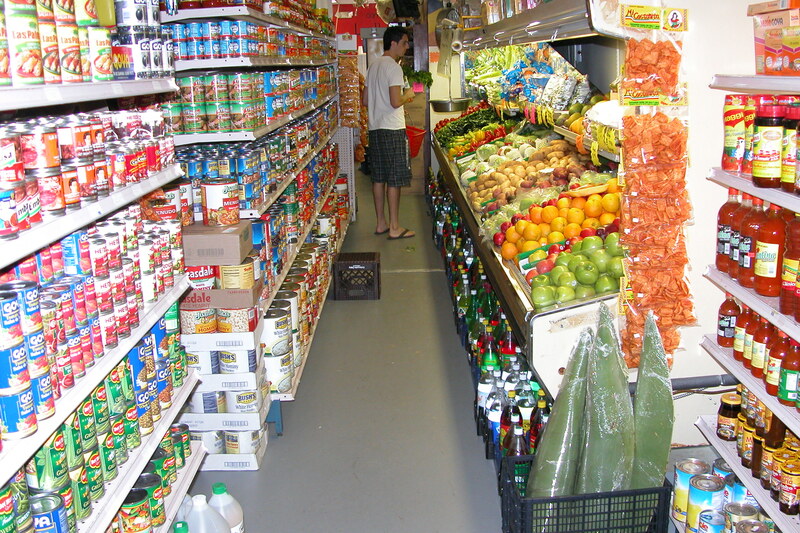 Inside, the Groceria is bursting with color and vitality. 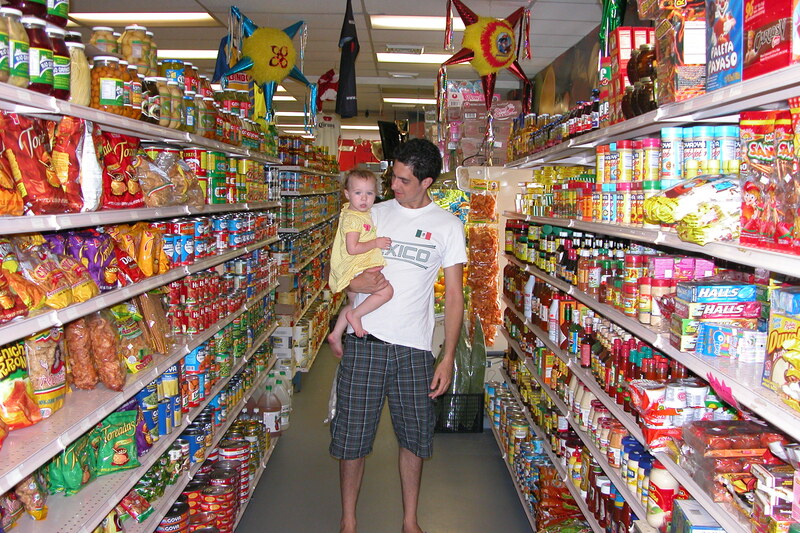 My husband is not available for purchase, of course… but you can find all the ingredients you need to create incredible Mexican food. The prices are low, quality is high. The shelves are packed in close in an entirely un-American manner, but that adds to the excitement of the experience. 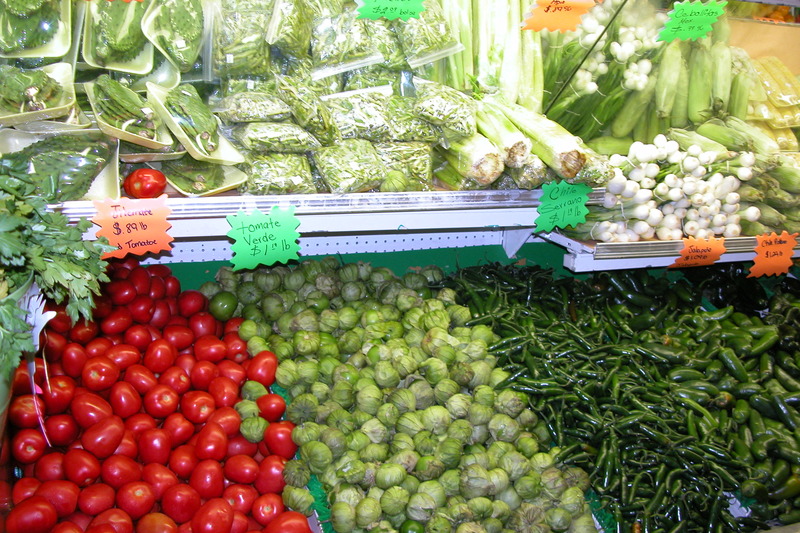 The produce is fresh, abundant, inexpensive, and excellent quality. I say this with a great deal of authority after spending ten years of my life in the Produce Section at high end grocery stores. This produce is clearly loved and carefully tended. There is even fresh cactus available. Dried spices of all sorts line the walls. But perhaps the real glory of the store is the long butcher counter that runs across the back of the store. 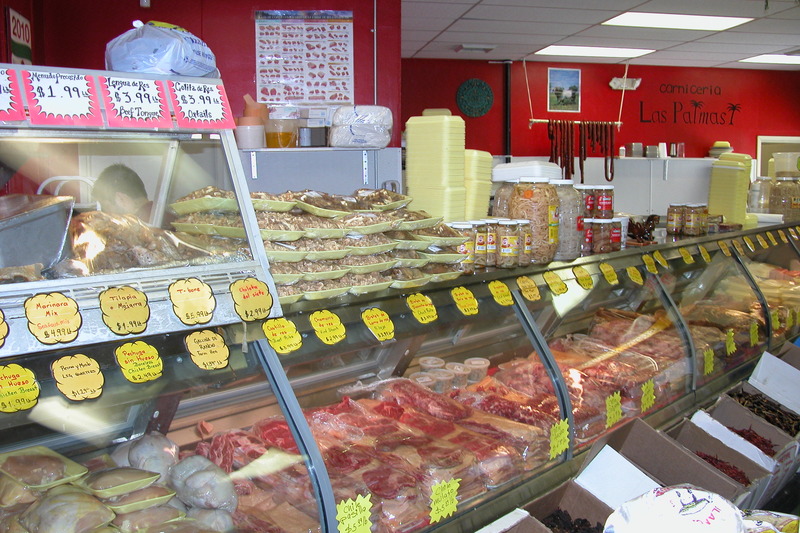 This is a real butchershop with a huge variety, reasonable prices, and great quality. I don’t know what everything is, but every time we have tried something it has been excellent. lf you are looking for Mexican food in Pittsburgh, I highly recommend that you head out to Brookline to check out Las Palmas. 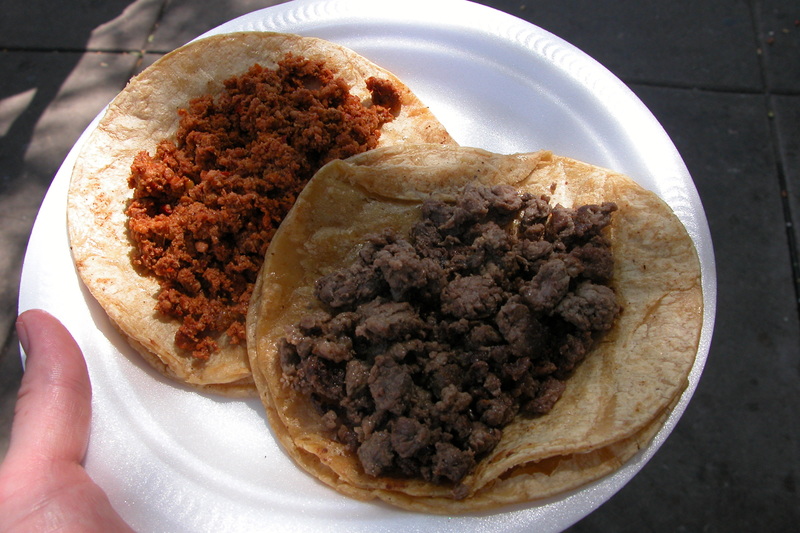 If you are looking for tacos, make sure it is Saturday. Looking for votive candles? Those are available every day of the week. 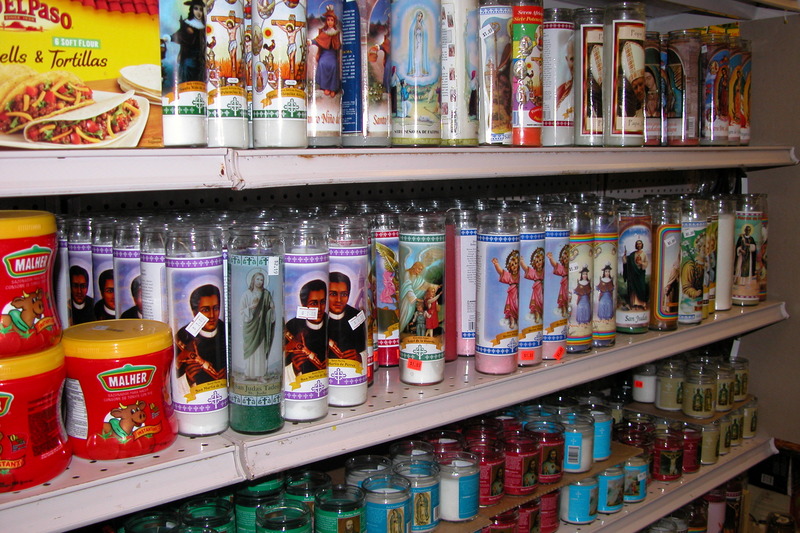 You can never have too many votive candles. This entry was posted in Kate on August 24, 2011 by sweetridgesisters.